The Galileo spacecraft found many interesting landforms on Jupiter’s moon Io. Included are some that look like volcanoes, with active lava streams. Several high-temperature volcanic hot spots have been detected in this region by both the Near Infrared Mapping Spectrometer (NIMS) and the solid state (CCD) imaging system on-board Galileo. 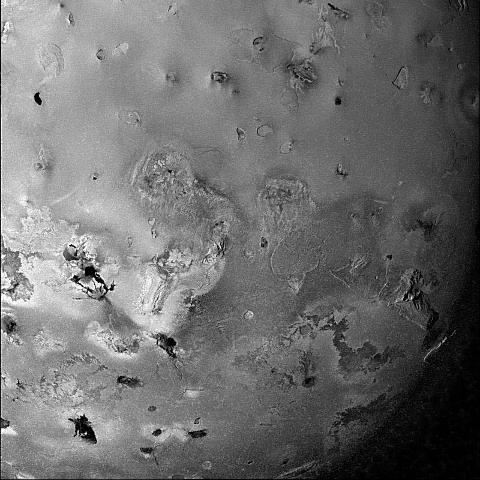 The temperatures detected in this part of Io are consistent with active silicate volcanism in lava flows or inside irregular depressions called calderas (lava lakes). NASA’s Galileo spacecraft was built by JPL and launched by the Atlantis space shuttle (STS-34) in October 1989 with a mission to explore Jupiter and its moons. 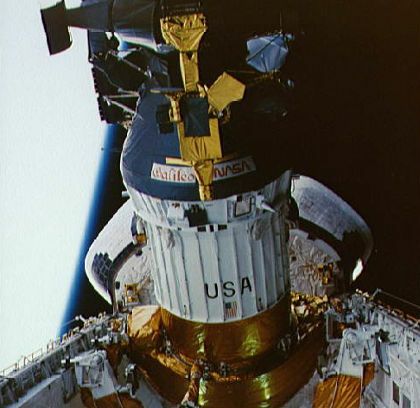 Here the Galileo spacecraft, mounted on the inertial upper stage (IUS) rises above the airborne support equipment (ASE) as it is brought into position by Atlantis’ Orbiter Vehicle’s payload bay. 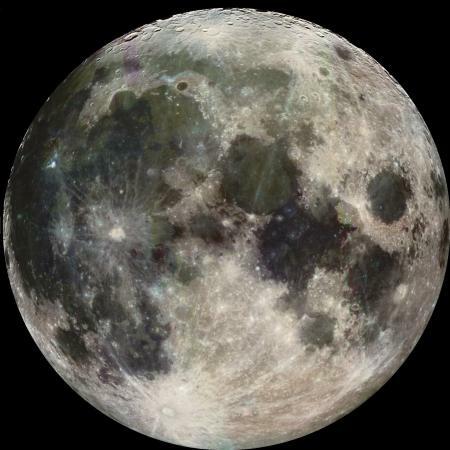 Picture of (our) Moon taken by NASA Jet Propulsion Lab’s (JPL) passing spacecraft. The Galileo spacecraft took this picture of the moon on its way to its primary mission which was to explore the planet Jupiter and three of its moons (Io, Europa, Ganymede and Callisto) . Galileo’s picture provides a view of our Moon’s geography with its many impact basins and areas filled with dark lava rock.